Manar Sweillam Morales is a national thought leader on women’s leadership, diversity, and workplace flexibility. She serves as President and CEO of the Diversity & Flexibility Alliance – a think tank dedicated to helping organizations create inclusive cultures that advance diversity and flexibility to attract and retain top talent. 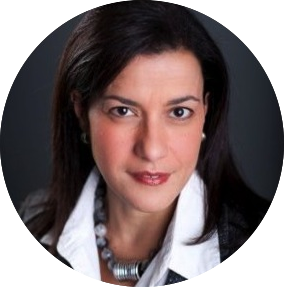 Manar is a frequent speaker on workplace flexibility, diversity and inclusion, women’s leadership, and individual strategies for success. Manar began her career as an employment litigator representing clients in all aspects of labor relations and employment law. She has litigated in federal court, before federal administrative agencies, and in arbitration. In addition, Manar served as an adjunct faculty member of Georgetown University where she taught classes in Labor and Employment law and Entrepreneurship. Manar serves on a number of Boards and Commissions; she is a Washington Advisory Council member for Commonsense Media, a member of the President’s Council of Cornell Women, liaison to the ABA Commission on Women in the Profession, and a Trustee of the Board of St. Patrick’s Episcopal Day School.